Twenty four oversized 3" oatcakes in the 9.8 oz. box from Walkers. 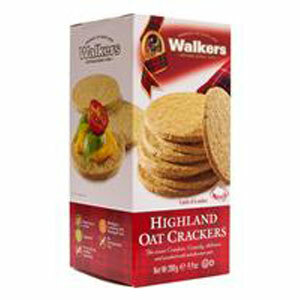 Heart healthy oats makes these Walkers Highland Oat Crackers good for you as well as just plain good! Each 10.5 oz. box has four packs of six 3" round oatcakes each, total of 24 crackers. Perfect with cheese, marmalade, jam, honey or just plain. After all, these are the same oatcakes Walkers makes for Her Majesty, the Queen. The royal warrant is on the top of every box! 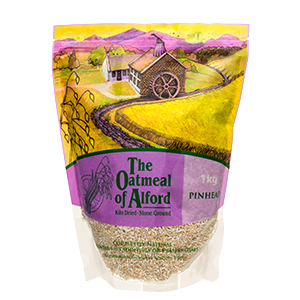 Ingredients: Highland Oatmeal, milk, wheat flour, vegetable oil and non-hydrogenated vegetable oil , sodium bicarbonate and disodium phosphate, salt. In 1898 Joseph Walker started a small bakery in the Highland town of Aberlour. From those humble beginnings until today, the Walkers family have produced the highest quality bakery goods, including oatcakes, shortbread, mincemeat tarts and Christmas puddings. 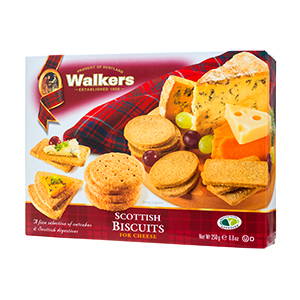 Today, Walkers is the largest shortbread maker in the world, and supplies everyone from the Queen of England to corner shops from Scotland to China and back. Great ingredients, family recipes and a commitment to give you the best is baked into every product they make. I used to order these on Amazon and they would take weeks to arrive from the UK . 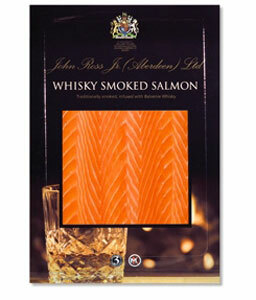 Now it only takes a couple of days with Scottish Gourmet . Oatcakes are fresh and crisp , taste great with cheese or honey and now I can order them every week and never be without them . Nobody should ever be without oatcakes .!!! I find that oatcakes are one of the things I can't live without and rather than have them sent from the UK and waiting weeks for them to arrive I can now get them in a couple of days . I'm thrilled and not so homesick any more . 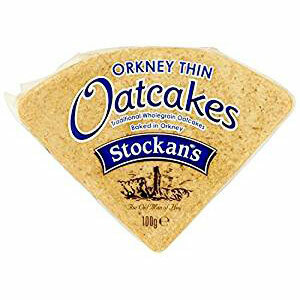 These oatcakes remind me of Scotland in 1971. Got a taste and order them regularly. Took me a bit to get use to but very good. Crunchy and good with clodded cream and/or agave.